CX146 Radio Carmelo transmitting on 1460 is a very rare Uruguay-station to be heard in Finland and Scandinavia. The station was first logged in Finland in Lemmenjoki during the LEM85-pedition (Håkan Sundman and Mika Mäkeläinen) on October 26, 1995 and a couple of weeks later by LEM87 (Jarmo Havukunnas and Jan-Erik Österholm). It would the take more than 10 years before the station was logged again in Finland by LEM239 (Jari Ruohomäki and Mika Mäkeläinen) and more recently by LEM290 Pertti Äyräs and Jan-Erik Österholm) in early February 2010. The only common station on 1460 from South America (excluding Brazil) that can be said to be regularly heard is Nuevo Continente in Bogotá. 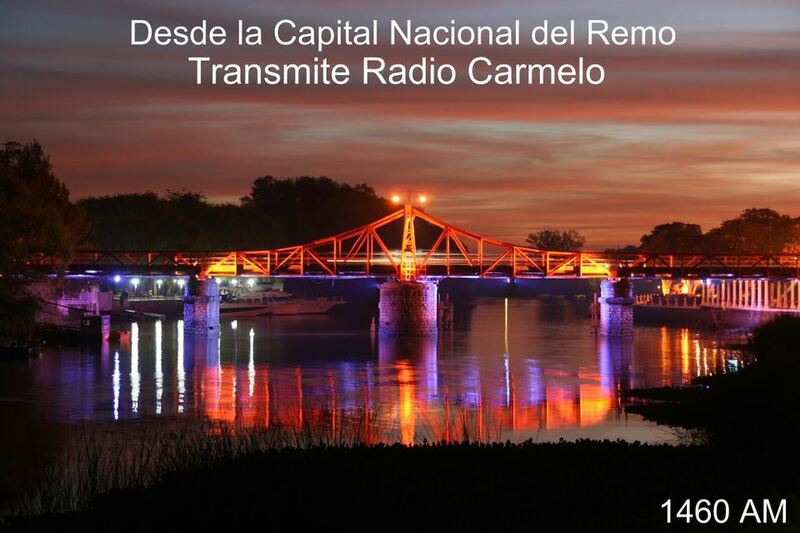 It was therefore very nice to receive a message via Facebook from Radio Carmelo recently confirming my reception of the station on January 29, 2010. The bridge seen on the picture above, the Puente Giratorio de Carmelo celebrated it’s 100th Anniversary this spring and is also pictured on the City Seal of Carmelo.